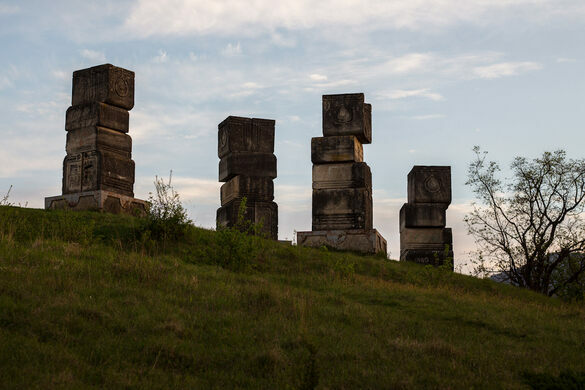 Just outside the town of Bihać, in Bosnia, a somber memorial park marks the place where 12,000 ethnic Serbs and Jews were executed by fascist forces during the Second World War. Axis forces controlled much of the Balkans during the war, and as borders were redrawn the town of Bihać became a part of the fascist-aligned Independent State of Croatia. In June 1941 the new mayor of Bihać, Ljubomir Kvaternik, moved towards homogenizing the town, ruling that all ethnic Serbs and Jews had to leave their homes. Many did, but a great number ignored the order. In July, the mayor called for the arrest of all those who remained. Between July and August that year, thousands of Jewish and Serb civilians of all ages were taken to sites outside the town and executed en masse. 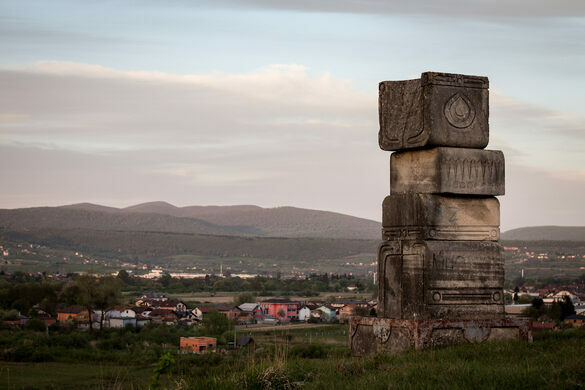 One of the largest places of execution was on Garavice Hill—and it was here, decades later, that socialist Yugoslavia would build a monument to the dead. The Garavice Memorial Park to the Victims of Fascist Terror was designed by renowned architect Bogdan Bogdanović, and completed in 1981. 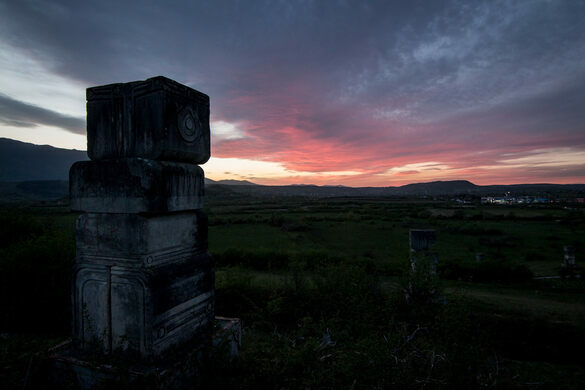 It consists of 15 stone columns placed around the crest of Garavice Hill, roughly 15 feet in height and each formed from a series of carved stone blocks. Engravings on the blocks show curious patterns and abstract designs, reminiscent of local folk art. Today, the memorial park is poorly maintained. Some of the pillars were damaged during the conflict in the 1990s, while graffiti stains many of the stones. 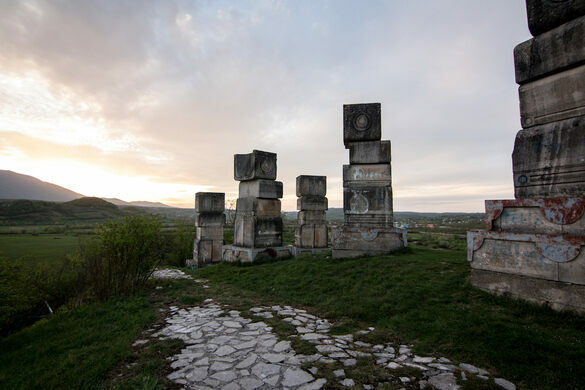 Unlike other monuments in the nations of former Yugoslavia, where fresh flowers often indicate their contemporary use as memorial sites, the Garavice Memorial Park appears to be largely forgotten.